Here is the story about this bike, written by Daniel Flanzig. It started with an e-mail last week from my friend Rich Conroy at Bike NY. He got a phone call from a social worker at Locust Valley High School in Long Island. At the school there was a 17 year old Salvadorian student, living here without his family, who used his bike to get to school each day. Following school, the young man biked to neighboring Glen Cove where he worked evenings in a restaurant. The young man’s bike was falling apart. Rich reached out to me to see what resources are available on Long Island for a young man like this. Right away I contacted Brett’s Bicycle Recycle. By Saturday I had this beautiful red bike in my car with a brand new helmet courtesy of Bob and Laura Harris, formerly of the shop, Bike Works. On Monday, I headed over to Mineola Bicycle to pick up bike lights, a lock and a bell. With no expectation, Barry at Mineola bicyle graciously donated these items. This afternoon I prepped the bike for delivery. Cleaned it up, filled the tires and oiled the chain. I loaded up the bike into my car to meet the young man at his school. As soon as I put the bike in the car, I heard a slow leak from the rear tire. With the bike to be delivered within the next half hour, I quickly ran over to Rick Jones at Road Runner in Glen Cove. Once again, without any expectation, Rick and his dad generously donated a new tube and the quick repair. With the bike reloaded, we headed off to the school to make a delivery and hopefully make a young man’s day all the better. Mission accomplished!! They say it takes a village. 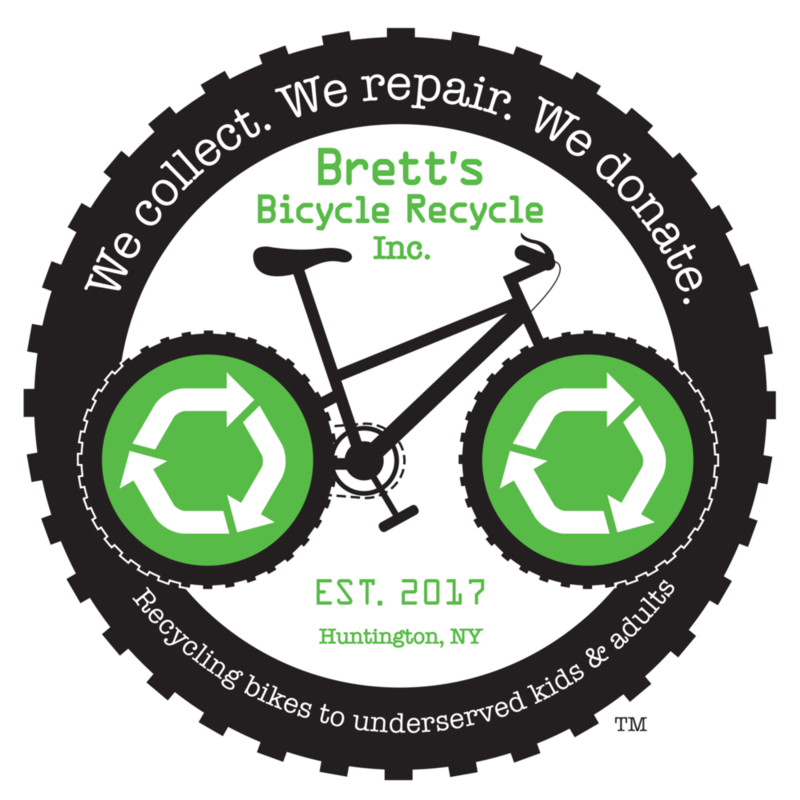 Today we saw two great charitable organizations, Bike New York and Brett’s Bicycle Recycle, a wonderful social worker, and two local bike shops all makes this young mans life just a little bit easier.